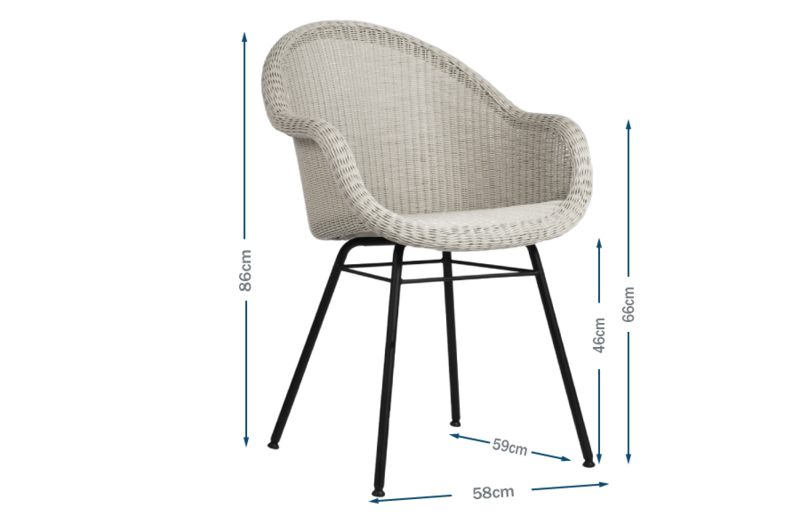 This eye-catching dining chair is no exception, made in the Lloyd Loom weaving technique using robust yet comfortable Black or old lace polethylene wicker. The smooth curvature of the armrests and chair edges provide maximum comfort - with a touch of elegance. The sleek steel base and frame bring a particularly modern look to the piece, combining beautifully with the Leo table. The Edgard dining chair is weather resistant allowing it to be left outside all year round.